Very powerful taclight with a radius of 1000 meters, with 3 or 4 CR123 or two 18650 rechargeable batteries give it up to 1200 lumens. Comes in case with spare o-rings and holster. 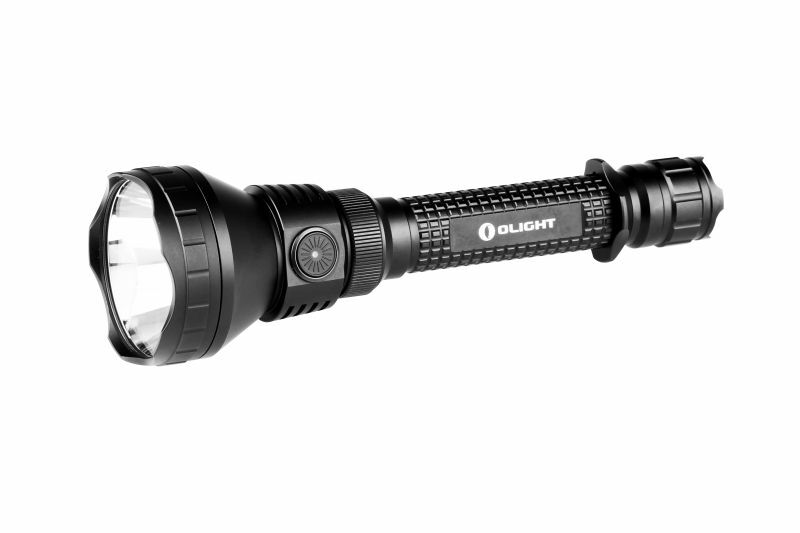 Olight is proud to introduce the new M3XS Ultra Thrower Javelot extended-range, variable output, customized Cree XP-E LED flashlight. 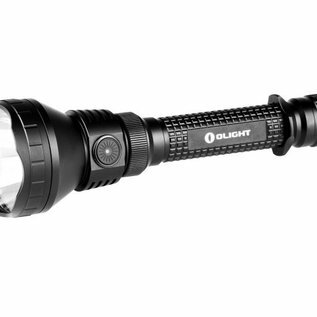 This light Has A full kilometer or beam distance, three brightness levels from a minimum of 3 to a maximum lumens or 1200 lumens, plus a strobe mode. The M3XS-UT is powered by 3x CR123A batteries or 2 x 18650 lithium batteries with the extender tube. This light retains the tail cap switch from the M3X with an added side switch for easy mode switching. Milled from aircraft-grade aluminum with a Mil-Spec Type III hard-anodized finish and is waterproof up to two meters (IPX 8) and comes with two spare o-rings, extension tube, battery magazine and holster.